Sometimes it can feel like you're the only person who doesn't have gluten intolerance. But how many of the people who say they're gluten intolerant are really? And what does it mean to be gluten intolerant anyway? We take a long look at the facts. So what is gluten, why can’t or won’t these people tolerate it and what should they eat instead? Gluten is a protein, found in all common grains except rice. Its name comes from the Latin for glue, and it is technically a proteinaceous polymer that behaves very like PVA glue. It’s the gluten in wheat that allows bread to rise, for instance. Most people are more or less tolerant or intolerant to gluten. We’re on a continuum, not two isolated extremes. Some people with gluten intolerances can eat oats, which are low in gluten, but not wheat, which is high in gluten. Others can’t even eat rice, which contains no gluten but does have gluten-like proteins. Most gluten intolerance is self-diagnosed. That tends to make it look like something people have at least partly made up. If you personally don’t suffer from it, or don’t feel like you do, then it feels like the people who do have just invented it. After all, it’s hard not to reason that hungry people in famine regions aren't unable to eat gluten. The fact is that they are, though – they just usually don’t have a choice about it. To understand the facts about gluten and grains we need a brief dive into history. Throughout most of the lifetime of our species, grass seeds – grains – represented a little-used food. They were complex to prepare – in contrast to meat, fruit, nuts, leaves and berries, which can be eaten raw, or tubers, which can be cooked easily (with some exceptions). They were unproductive, too. To understand that, take a look on the internet at some images of wild grains. They’re tiny; imagine trying to make bread from that! Way back when, people figured out that they could grow grasses selectively. Over a long period, we went from slashing and burning to restocking, to selectively restocking – we’d plant areas with plants that suited us. Then we were gardening – some areas of our roaming and hunting grounds were given over to certain plants that grew there easily. Finally, we became farmers. Now we needed the calorie-dense grains we’d bred to support a larger population. Grains have some major advantages: They’re high in calories relative to the amount of land that’s needed to grow them. They store better than tubers usually do. They’re more nutritionally complete than most tubers. Sounds like they’re great. So what’s the problem? We didn't evolve eating large amounts of grains. 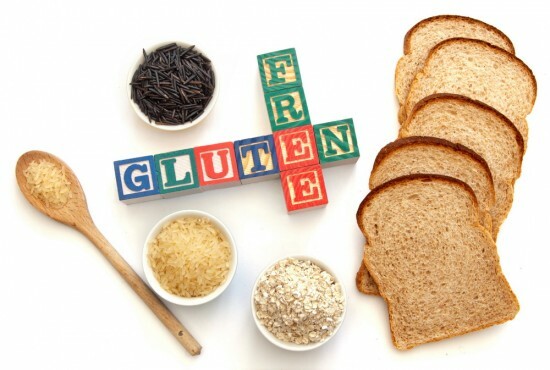 Most of us have some degree of problem with gluten or the types of proteins related to gluten. There’s a test for celiac disease but there isn't really one for gluten intolerance as such, though antibody tests in stool shows at least 30% of us have antibodies associated with reactions to grain proteins. That’s a lot of people who aren't making it up. Doctors encourage patients to figure out their own tolerances to gluten and other dietary factors that aren't life threatening but do cause pain, discomfort and decreased performance. That’s the best we can do to figure out a lot of things. If it hurts, stop doing it – sounds pretty simple, right?